This very special and rare tea cake is purely made from Ban Zhang tea leaves. 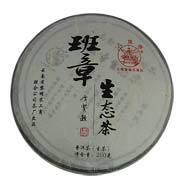 Most Ban Zhang tea cakes are mixed with normal Pu'er tea leaves as Ban Zhang tea leaves are very expensive. Even the most famous Li Ming Tea Factory's Ban Zhang tea cakes that were produced in 2006 consist only 40% Ban Zhang tea leaves. 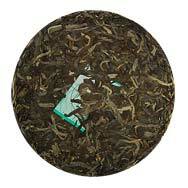 This tea cake, which was just introduced in 2009, comprises 60% new Ban Zhang tea leaves and 40% old Ban Zhang tea leaves. 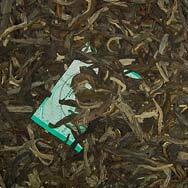 A tea not to be missed by Ban Zhang Pu'er tea lovers.